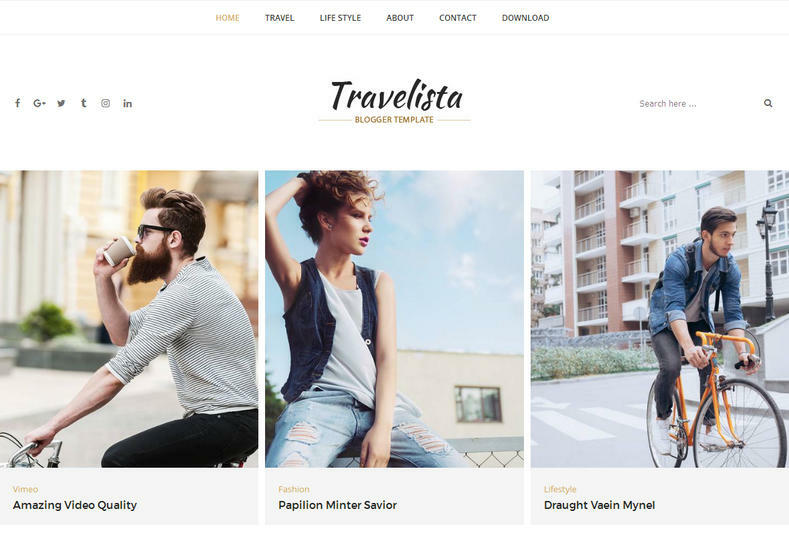 Travelista Tour Blogger Template is a travel focused blogger template with clean and responsive design, that will adjust its width according to the screen size of user’s device. It comes with professional looking layout and can be used for travel blog, food blog, recipe blog, cooking blog, photography blog, lifestyle blog, daily blog, fashion blog, makeup blog etc. It will be a perfect choice to give your blog a simple looking but professional design and will attract new readers. 1 Right Sidebar, 2 Columns, Ads Ready, Browser Compatibility, Clean, Drop Down Menu, Fast Loading, Instagram Ready, Minimalist, Modern, Page Navigation Menu, Responsive, Seo Ready, Simple, Social Bookmark Ready, White.